This month I got to do my first wedding cake. It took about 3 days and I learned a lot doing it. Each layer was a different flavor and color. I baked one day, frosted the next and did the fondant the 3rd day. Then I transported the cake and put it together and did the final decorations. The bride designed the cake and said it was perfect. We used real flowers that matched her bouquet and center pieces. 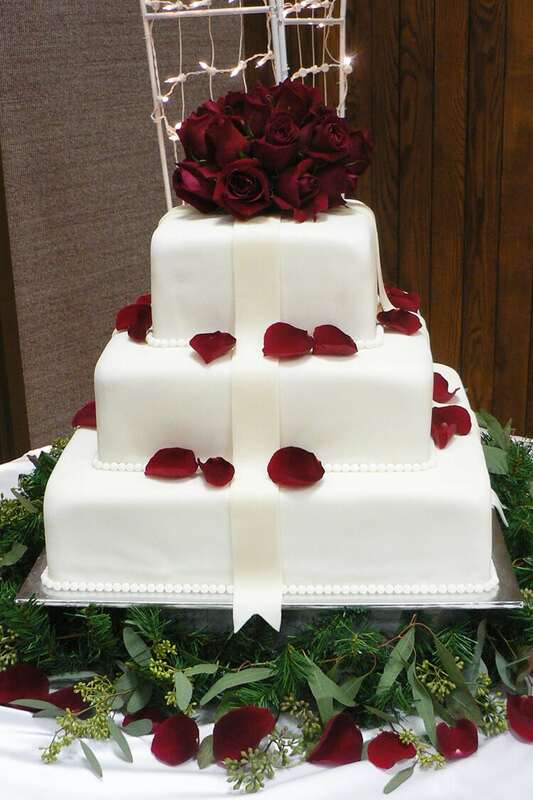 *trick alert* when using white on white adding a little ivory keeps the cake from looking flat and washed out. Here I used a bit in the fondant ribbon.